Former boxing champ Rocky Lockridge, who found viral fame after an interview saw him break down in tears, has passed away aged 60. Rocky’s family confirmed his death on Thursday which was due to complications from a series of strokes and pneumonia, according to Philly. The former super-featherweight retired from boxing in 1991 and went on to publicly battle drug problems. Then he appeared on A&E reality show Intervention which helped him to live sober for the last decade. Rocky’s son, Ricky Lockridge, said: “It is with great pain but a whole heart that I tell you family and friends that my father Ricky Lockridge aka Rocky Lockridge has passed away. Rocky was best known for his defeat against Roger Mayweather with a first-round knockout in 1984 to win the WBA world super featherweight title. This was Roger Mayweather’s first loss. Fans of Rocky’s have taken to Twitter with one saying: “I’ll always remember him as an extremely talented fan favorite who never gave less than 100%. RIP”. Another added: “What a sad loss. 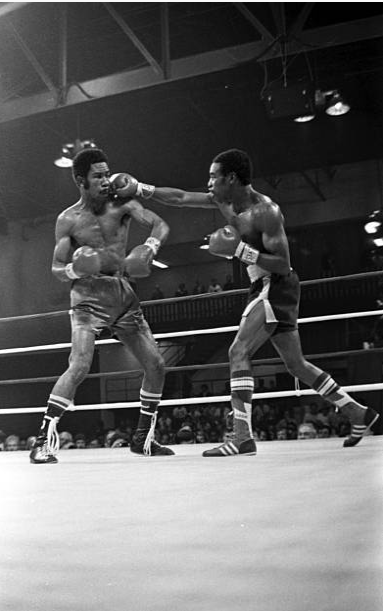 A great boxer, took the legendary Wilfredo Gomez and Eusebio Pedroza to MD losses, beat the likes of Roger Mayweather, our own Cornelius Boza Edwards and peaked in the same era as our legendary @ClonesCyclone – Rocky Lockridge will ALWAYS be remembered. RIP champ”. A third commented: “Loved by boxing fans, played a huge part in making the 80s a great era for the lighter weight divisions. Fought and beat the best. 2 time great! Peace and love”. Previous Valentine’s Week 2019: The beginning of the week of love since February 7..